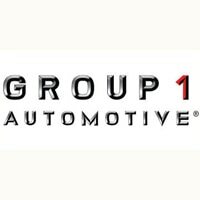 Group 1 Automotive is an international vehicle dealer group that specialises in the sale of vehicles made by a range of marques. The business runs over 40 sites in the UK, operating under various names and selling new and used cars and vans. Group 1 Automotive UK dealerships also offer finance services and MOTs, and partake in the Motability scheme geared towards disabled motorists looking for a new vehicle. The wider business was founded in America in 1985, entering the UK market in 2007 with the acquisition of Chandlers dealerships. In 2010, the company purchased Barons Group, a BMW and MINI dealer based in southern England. The next few years saw some expansion, with Group 1 Automotive UK acquiring six Audi dealerships from Essex Audi in 2012 and four Ford dealerships from Inchcape Group the following year. Since then, the group has continued to expand its UK operations, including the capture of Beadles dealerships in 2017. All the company’s acquisitions continue to trade under their own brand names. In the UK, Group 1 Automotive dealers sell a selection of cars from BMW, MINI, Audi, Seat, Jaguar, Ford, Toyota, Vauxhall, Kia, Skoda, Volkswagen and Land Rover. The company offers customers a good mixture of prestige cars and models ideal for everyday use. Used vehicles from a number of other makes, such as Nissan and Peugeot, are available too. In addition to this, new and used vans from Ford and Volkswagen are sold in various Group 1 Automotive-owned sites.